Below are some of the projects being undertaken by members of our group. For more complete picture of the breadth of topics studied in our group, please visit the websites of individual research labs and faculty members. Decades of using rigid tooling has trained surgeons to plan for the linear surgical approach. Our team is attempting to provide alternatives to surgeons such that they can comfortably take the less-invasive, nonlinear trajectory. Our goal is to create a flexible highway through the ventricles, one that allows surgeons to reach deep-seated tumors in ways they had never before imagined. This program focuses on developing a prototype of an automated brain tumor resection device that uses laser ablation and intraoperative feedback to precisely resect a tumor under robotic control. In contrast to the risks posed by contemporary approaches to brain tumor microsurgery, the proposed technique will allow a surgeon to more precisely remove harmful cells without damaging critical brain and vascular structures. The goal of this project is to advance real-time decision-making techniques for robots that cooperate with human operators. Available motion planning tools, while powerful at computing motions for complex autonomous tasks, are poorly suited for human-centered applications that demand responsive and natural motions. 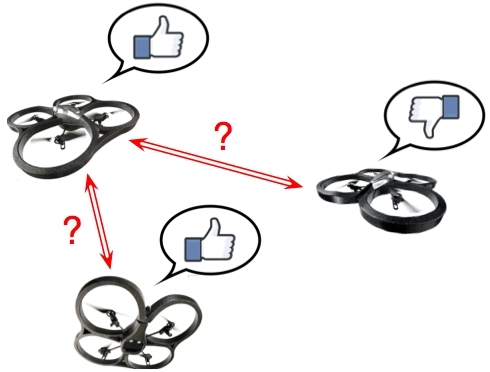 We hypothesize that a new cooperative motion planning paradigm will support major advances in intuitiveness and task performance of human-operated robots such as intelligent vehicles, tele-surgery systems, search-and-rescue robots, and household robots. 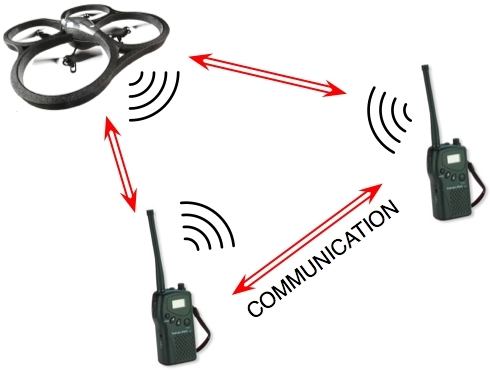 The goal of this project is to develop a novel distributed control framework to let mobile wireless nodes move as dictated by their assigned tasks, while ensuring reliable communications as necessary for the accomplishment of a mission. We are partnering with the Nicholas School of the Environment, as well as a conservationist group at Wonga Wongue National Park in Gabon, Africa to develop a system for monitoring the African forest elephant, which is one of the most heavily poached animals in the world. The goals of this effort are to develop this system using a quadcopter, ground control station, and thermal video camera such that the elephants can be monitored from aerial vantage points during nighttime. 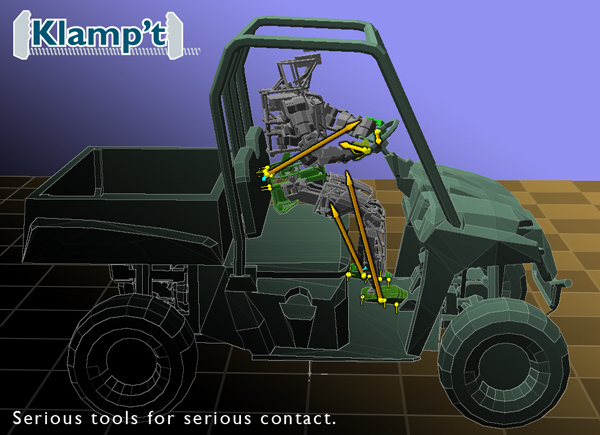 Klamp't is an open source, cross-platform software package for modeling, simulating, and planning for complex robots, particularly for manipulation and locomotion tasks. It has been used in research and teaching in a number of institutions. Its key contribution is a new contact generation method that treats the geometry as having a thin virtual boundary layer around the underlying meshes. Unlike existing methods, it produces contact estimates that are stable with respect to small displacements, which helps avoid jitter or divergence in the simulator caused by oscillatory discontinuities. The goal of this project is to develop a new framework where teams of mobile robots self-engineer the structure of their communication network in order to improve on the performance of distributed algorithms used for team coordination. ROBOPuppet is a method to create inexpensive, table-top sized models of robots to provide teleoperation input to full sized robots. It involves using a 3D printer to create a minature replica of your target robot, then installing easy to use electronic components and connecting everything together using a motion planning toolkit. The total materials cost of our ROBOPuppet is less than $100, and it is extremely easy to use, having been tested with users as young as 7 years old. This program seeks to provide an autonomous system that can be flexibly installed into any aircraft (fixed wing or rotorcraft) in the DoD inventory to provide an R2D2-style robotic copilot that can assist with tasks in the cockpit.